Hello Linux Geeksters. As you may know, Gmusicbrowser is an open-source jukebox written and perl, with support for the following file formats: mp3, ogg, flac, mpc and ape. The latest version available is Gmusicbrowser 1.1.10, which brings some new features to the previous version. Read the changelog for more information. The app is very nice, because the user can label the songs with different tags, organize the songs by genres, use the embeded browser while listening to music, etc. In this article I will show you how to install Gmusicbrowser 1.1.10 on Ubuntu 13.10 Saucy Salamander, Ubuntu 13.04 Raring Ringtail, Ubuntu 12.10 Quantal Quetzal, Ubuntu 12.04 Precise Pangolin, Linux Mint 16 Petra, Linux Mint 15 Olivia, Linux Mint 14 Nadia and Linux Mint 13 Maya. Because it is available via PPA, installing Gmusicbrowser 1.1.0 on Ubuntu and Linux Mint is easy. 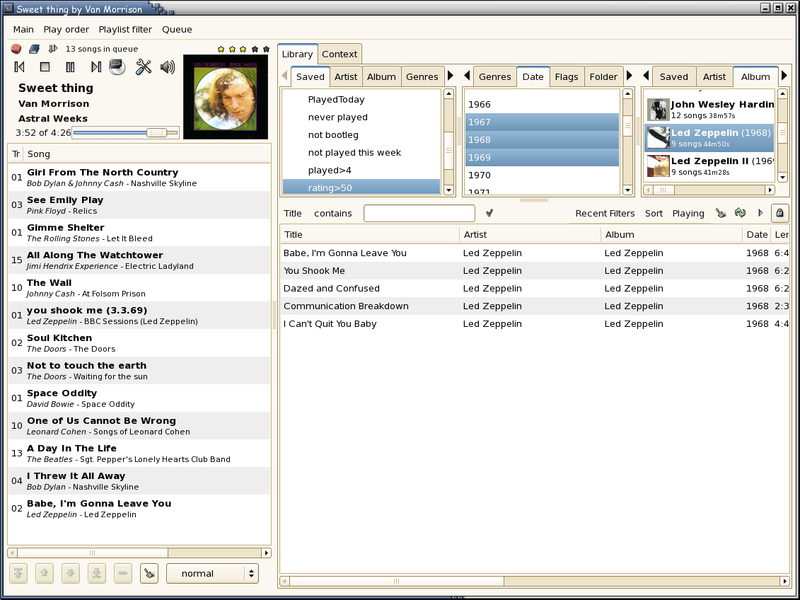 Gmusicbrowser 1.1.10 for Ubuntu 13.10 Saucy Salamander and Linux Mint 16 Petra is available via the daily builds ppa:andreas-boettger/gmusicbrowser-daily PPA, while the version for the previous versions of Ubuntu and Linux Mint can be installed from the ppa:shimmerproject/ppa PPA. Liked it? Take a second to support Geekster on Patreon!